The twelve limited-edition images shown here were drawn from a much larger collection gathered during several visits to Lotusland. 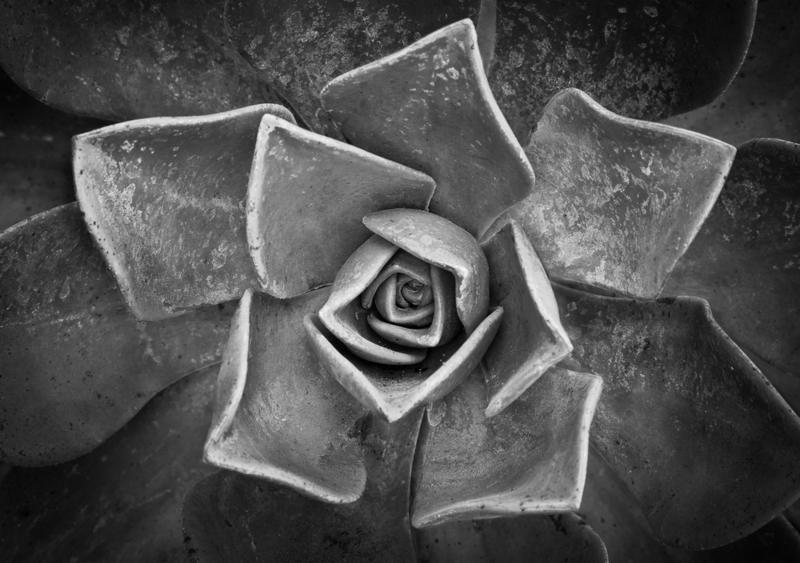 The gardens are spectacular, but the more I looked, the more I found myself attracted to the forms and textures of individual specimens as opposed to wider views of the gardens. After looking at the images for a few days, I decided to render them in slightly warm monochrome to accentuate these forms and textures and to convey more of an abstract than documentary character. In each image I tried to crop and balance its visual elements and tones to pull the viewer’s eye into the heart of the composition and, in a sense, back to Lotusland. Ganna Walska Lotusland is a 37-acre botanical wonder in Santa Barbara, CA, containing thousands of species of tropical and subtropical plants from around the world. 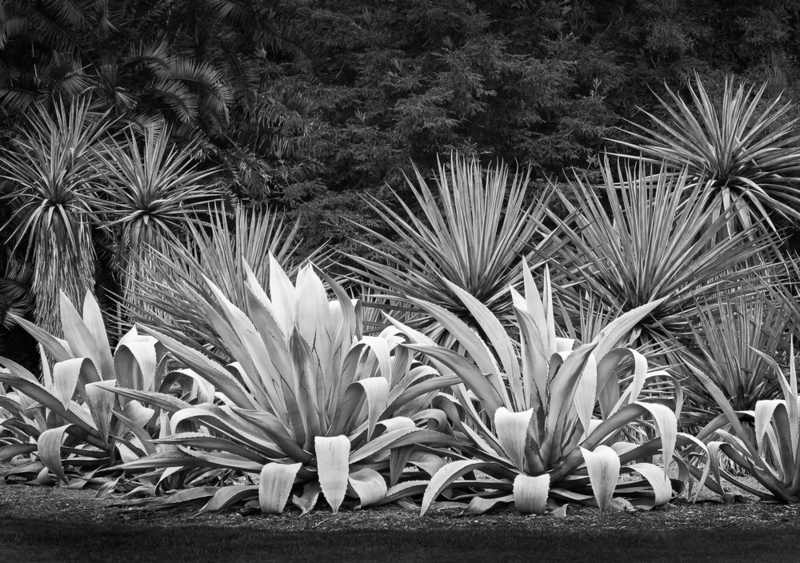 It is home to extraordinary collections including rare cycads, cacti and euphorbias. Lotusland is a non-profit organization, and through an agreement with SPR Images, a portion of all sales of these images goes to Lotusland. There is no tax-deductible donation involved, but the gardens do benefit directly. 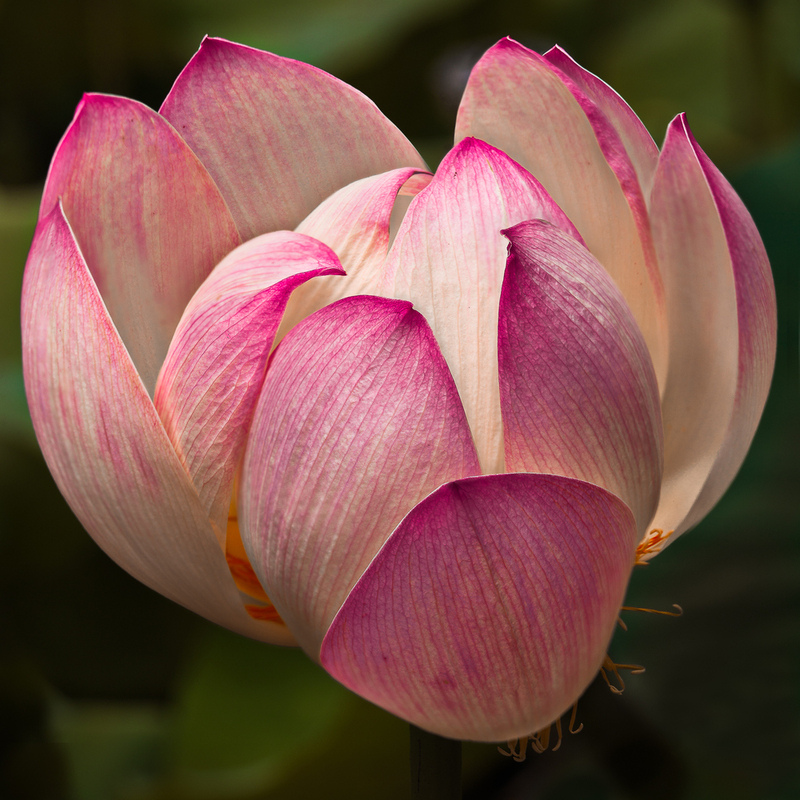 For more about Lotusland, including a link to their website and membership information, scroll down to the bottom of the gallery. 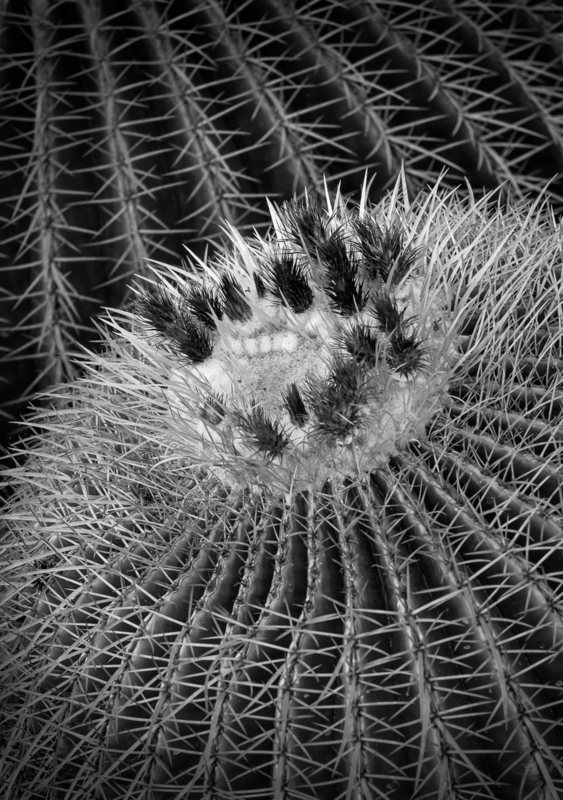 These same twelve monochrome images are also available in classic gallery frames with custom mats and UV filtering glass. Before the "glassless" framing technique was developed, this is how they were originally exhibited and sold. In good light they're stunning. We have materials for a small number of these prints, available at a reduced price. You can see how the images look when framed this way here. 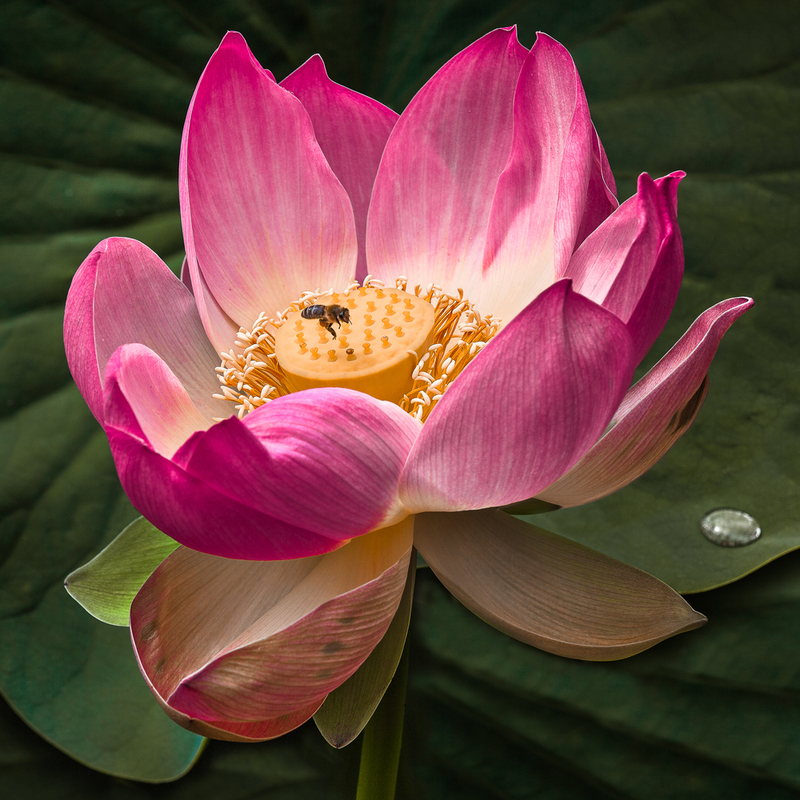 These four lotus images were intended to be fairly small in size so they would lend themselves to display in a group, either in a row or a grid (if you order the full set the price will be reduced by 20%). Each is a very different view that captures something of the character of these remarkable blooms. This is an open edition. In 1941, Madame Ganna Walska, a well-known Polish opera singer and socialite, purchased the Montecito estate that became Lotusland. She spent the next 43 years designing unusual display gardens with exotic plants. The series of gardens draws the visitor from surprise to surprise through a delightful labyrinth of landscape adventures. After Madame Walska’s death, Lotusland became a non-profit botanical garden and opened to the public in 1993. Lotusland incorporates the principles of sustainability into the preservation and maintenance of its extraordinary plant collections. Sustainable garden systems are modeled on natural ecosystems in which diversity, complexity and the recycling of energy and nutrients are essential. To visit the Lotusland website, click here www.lotusland.org. To become a member just click on the Support tab at the top of their home page.